Associate Director: Tony Petruzzella, M.S. Clinic Hours: Monday - Thursday, 8:00 a.m. to 8:00 p.m. Established in 1930, the Psychology Clinic is an outpatient mental health clinic operated by the Clinical Training Program of the Department of Psychology at The University of Georgia. 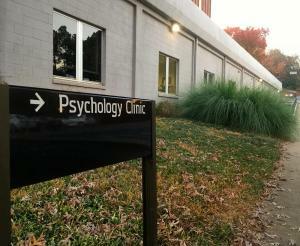 As the training clinic for one of the top-ranked clinical psychology graduate programs in the country, we are committed to excellence in graduate training and provide low cost psychological services, both psychotherapy and psychological assessment (child assessments only), for adults, children, and families in the Athens community. The Psychology Clinic offers both a small, people-oriented clinic and the resources of a top-rated clinical psychology program. The UGA Clinical Training Program is fully accredited by both the American Psychological Association and the Psychological Clinical Science Accreditation System. The Psychology Clinic is staffed by graduate students in UGA’s Clinical Training Program who work under the close supervision of our clinical faculty and associated licensed psychologists. The clinical faculty have achieved national and regional recognition for excellence in training, service, and research. Students accepted into the Clinical Training Program are among the best graduates from highly competitive colleges and universities around the country. Because therapists and supervisors are affiliated with a top research university, the Psychology Clinic is able to provide cutting-edge, scientifically-supported therapy and assessment services. The Psychology Clinic prides itself on being an open and affirming space for individuals of all backgrounds. As such, the Clinic is committed to providing quality care by therapists and supervisors sensitive to issues of diversity, including but not limited to race, culture, ethnicity, sexual orientation, age, religious beliefs, socioeconomic status, disability, gender identity and other individual differences. The clinic is wheelchair accessible. The clinic is in close proximity to many Athens transit and UGA bus stops. The following UGA bus routes have a designated stop right outside of the Psychology building: North/South, Orbit, East/West, and East Campus Express. Additionally, the Athens transit #12 bus has a designated stop at the Tate Student Center, which is within easy walking distance of the Psychology Clinic. Parking is available for Psychology Clinic clients in lot N09 next to the Psychology building. Opportunities for participation in ongoing research exist through studies coordinated by Psychology Faculty members and their collaborative teams. These studies are not administered by the Psychology Clinic but may be run on its premises.